Hungry? Need to fill your culinary calendar? Here is where you will find all the restaurant and culinary happenings in Chicago. GAYOT features a calendar of special dinners, tasting menus, prix-fixe meals, food festivals and other culinary events, including regularly occurring food events as well as special one-time-only events featuring top chefs. 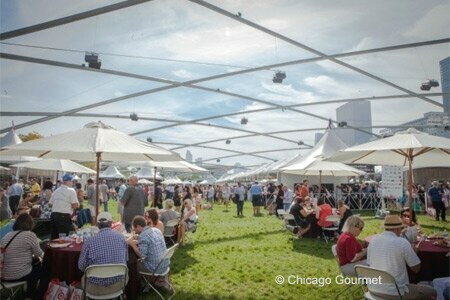 Keep checking back so you can know all that's going on in the world of restaurant and food events in Chicago. The culinary arts meet the long lost art of handwriting during a calligraphy workshop series followed by brunch at Travelle Kitchen + Bar on April 13, May 18 and June 1. Guests will learn the strokes from local teachers Ricki DiCola of r + ink and Julie Wildman of Wildman Designs followed by a three-course brunch by chef Jeff Vucko, which will feature chicken and waffles and avocado toast, various Benedicts or a burger, and chocolate cake or banoffee bread pudding. Cost of $65 includes the meal, a glass of Champagne and supplies for the class. Reserve your spot by calling 312-923-7705. Travelle Kitchen + Bar, The Langham, Chicago, 330 N. Wabash Ave., 2nd Fl., Chicago, IL 60611, 312-923-7705. Save the dates: June 8-9, when Pilsen denizens will gather at 18th Street and Racine Avenue for the best food trucks in the neighborhood from 12 p.m. to 10 p.m. For $20, visitors can sample six tastes from area restaurants at the Pilsen Food Truck Social. Thalia Hall will provide the entertainment program for this family-friendly event, whose proceeds will benefit local non-profits. Visit here for more information. On Friday and Saturday from 10 p.m.-midnight and nightly from 4 p.m.-6 p.m., Café Ba-Ba-Reeba! attracts a crowd with $3 tapas (like spicy potatoes with tomato aïoli) and $1 pintxos (bite-size snacks). In addition, $3 Estrella Damm bottles are available all day. Café Ba-Ba-Reeba! , 2024 N. Halsted St., Chicago, IL 60614, 773-935-5000. Benny's Chop House returns to Chicago's jazz roots with performances in the North Lounge every Wednesday to Saturday featuring artists Carmen Stokes, Julie Ponce, Leandro Lopez Varady, Lynn Hilton and Margaret Murphy-Webb. The live series starts on Wednesdays and Thursdays at 6 p.m., and Fridays and Saturdays at 7 p.m. Performances straddle traditional to modern contemporary funk and fusion styles. Benny's Chop House, 444 N. Wabash Ave., Chicago, IL 60611, 312-626-2444. On Fridays, Le Bouchon in Bucktown offers $1 oysters in the bar area. 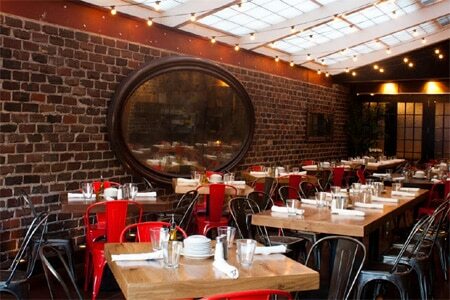 Le Bouchon, 1958 N. Damen Ave., Chicago, IL 60647, 773-862-6600.